With the "Journey to Star Wars: The Force Awakens" now underway here's one of our first glimpses of what happened after the Battle of Endor. Spoilers and Ewoks ahead! 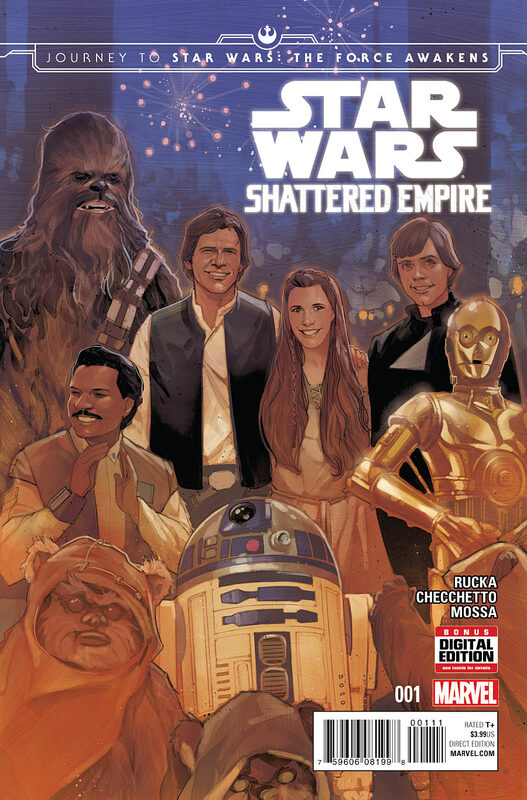 Kicking off this limited series, Rucka and artist Marco Checchetto manage to knock it out of the park, setting up some new characters, showing us some familiar friends and providing the links between Return of the Jedi and The Force Awakens without it being too distracting. There's some great interplay between the characters, including Lando doing his ladies' man routine on Shara and the troops having as much trouble understadning Ewoks as Han does along with the standard action and narrow escapes. The latter is handled greatly in Checchetto's artwork. His first splash pages are great, showing the intercutting between the air and ground battles and Luke Skywalker's fight with Darth Vader, while the latter quieter pages are also gorgeous to look at. The final actions sequence that wraps up this issue is also a stunner so if nothing else get this for the art and stay for an excellent story. 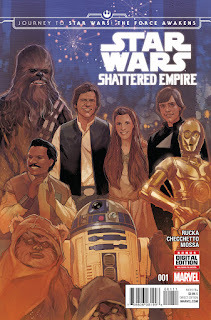 It's hard to say how this will play out and if the quality can stay the same but so far Star Wars: Shattered Empire is off to a great, exciting start. 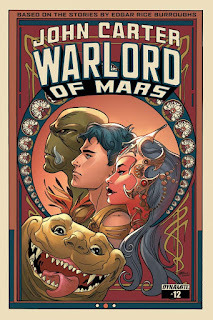 Next time a review of another "Journey" tale.